Beacon Fell Country Park lies at the southwestern corner of the Forest of Bowland, approximately four miles north of Goosnargh and eight miles north of Preston. It covers an area of 75 hectares and boasts an elevated position that offers fantastic views of the Lancashire countryside. Much of the park is coniferous woodland. 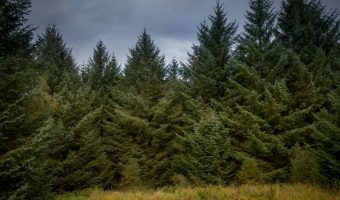 Tree species such as Norway Spruce and Scots Pine were planted in the mid-twentieth century to manage drainage. At that time the fell was used to gather water for the Barnsfold Reservoirs that supplied the Fulwood area of Preston. From the early 1960s the fell was no longer need for water supply and the woodland began to languish. Lancashire County Council purchased the area in 1969 and it opened as a country park the following year. It now attracts several hundred thousand visitors each year. 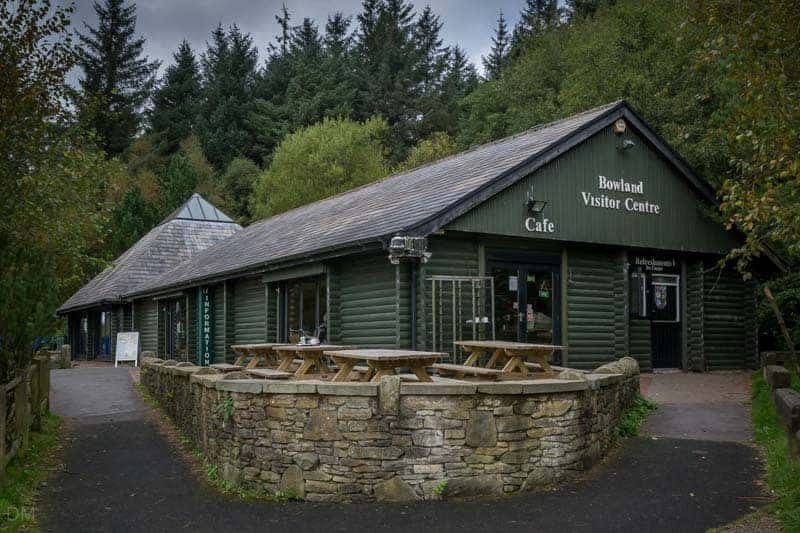 The Bowland Visitor Centre is a good place to start. Maps of the park are available and there’s usually a ranger on hand to provide advice. The café here offers drinks and light snacks and there is both indoor and outdoor seating. 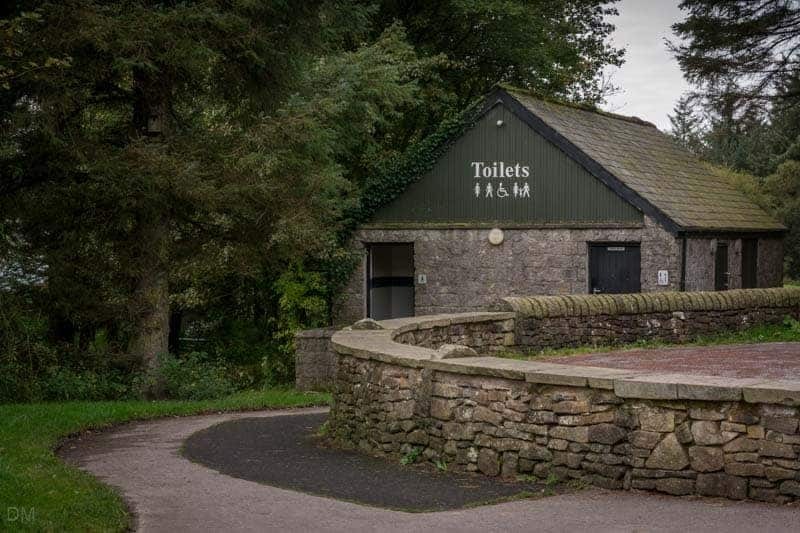 The public toilets have been immaculately clean whenever we have visited. Several marked trails begin at the visitor centre. None are strenuous and all can be completed in less than an hour. On our last visit we decided to walk the Woodland Trail. This took us along the southern and eastern edges of the park and then up to the summit. Other trails are the Fellside Trail and the Summit Trail. 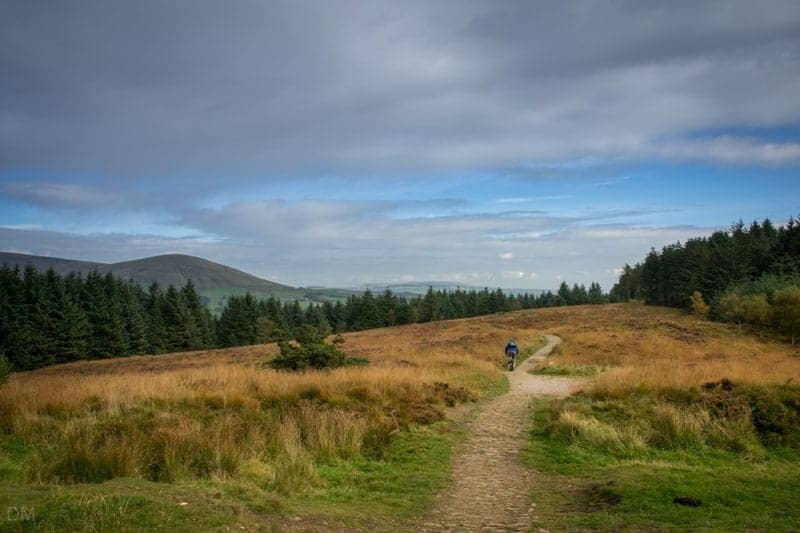 The Fellside Trail can be used by mountain bikers and horse riders. 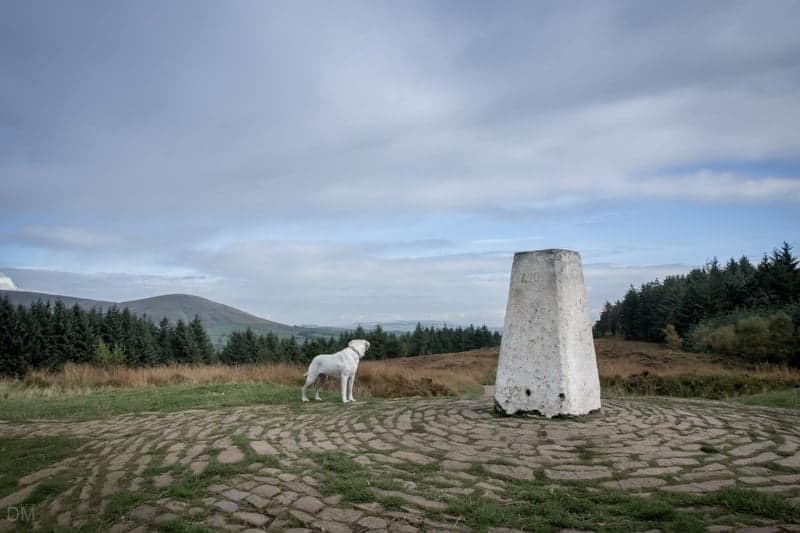 The summit of Beacon Fell stands at 266 metres above sea level. It lies in an area of open moorland and offers great views of Bowland fells such as Parlick and Fair Snape. A beacon once stood here and was used to warn of impending dangers, including the approach of the Spanish Armada in 1588. Today a triangulation pillar occupies the spot. There are a number of sculptures throughout the park. Some lie on the trails and are easy to spot. Others are in the woods and require a bit of poking around to find. 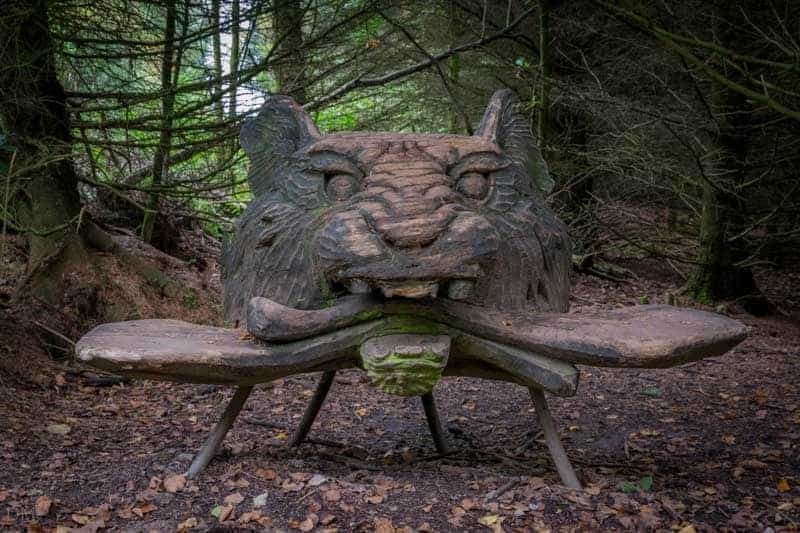 Sculptures include Orme Sight, Black Tiger, and Walking Snake; all by Thompson Dagnall. Beacon Fell Tarn, at the eastern end of the park, and was originally constructed as a source of water for firefighting. It is now an important habitat for dragonflies and damselflies. They can be spotted between May and September. 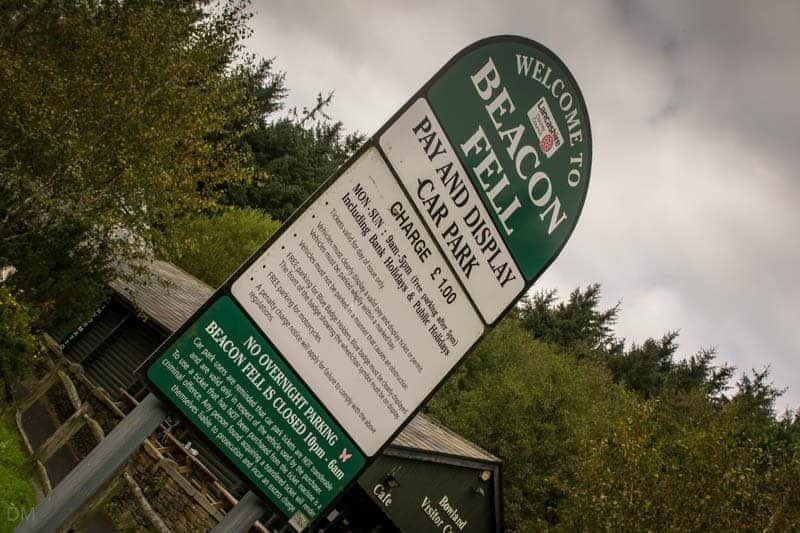 There are several car parks in and around Beacon Fell Country Park. Parking fees apply at those nearest to the Bowland Visitor Centre. Some of the car parks also offer picnic areas (e.g. Quarry Car Park, Carwags Car Park, and Sheepfold Car Park). 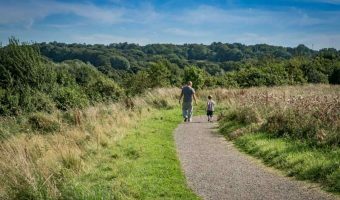 The park is well-signposted from nearby places such as Broughton, Chipping and Longridge. The drive through the beautiful countryside is an experience in itself. Owners of satellite navigation systems can use the postcode PR3 2NL to find it. Beacon Fell Road is a narrow, one-way road running around the perimeter of the park. Barbeques are not permitted at Beacon Fell Country Park due to the fire risk. There is a barbeque area at the Carwags Picnic Area. This is located on Carwags Lane, just east of the park. Dogs are welcome throughout the park. At the time of writing (October 2015) there is no playground at the park. 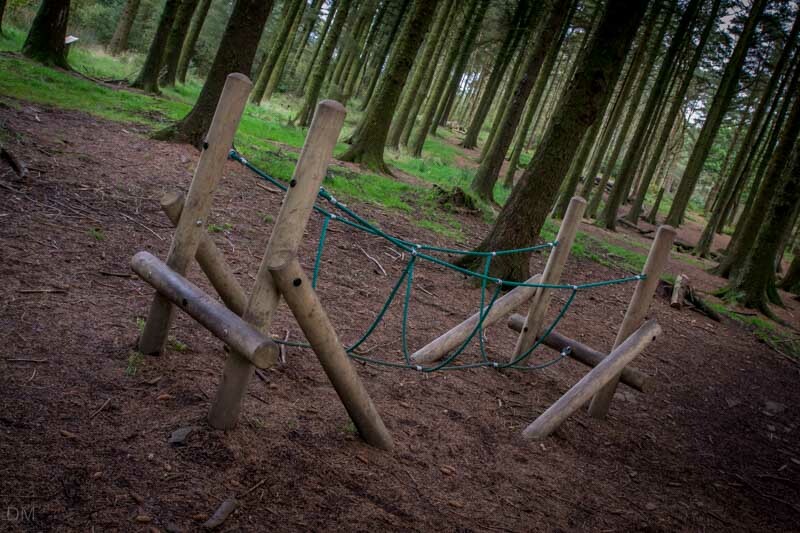 There are a couple of rope bridges in the woods to the east of the visitor centre, near the Walking Snake sculpture. 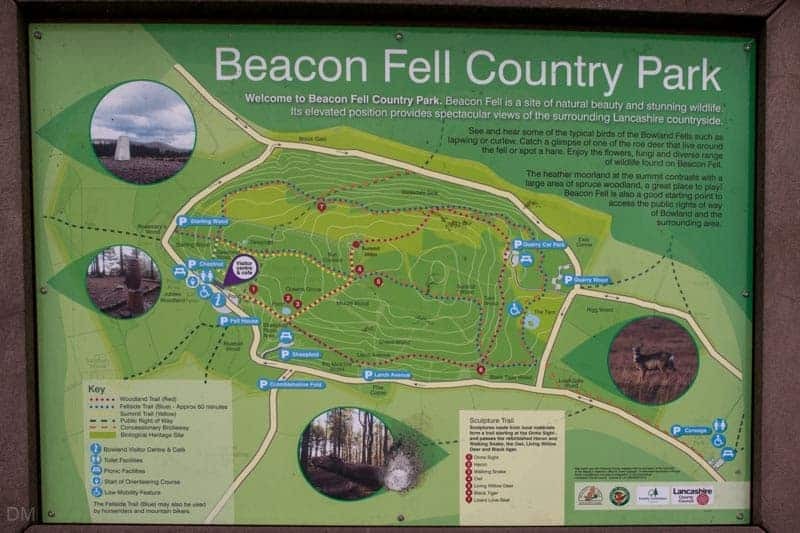 Map showing location of Beacon Fell Country Park. 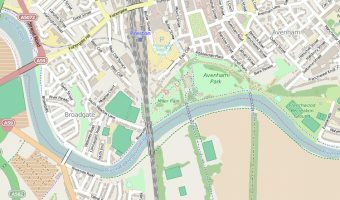 Is it possible to have my ashes spread on Beacon Fell at night? 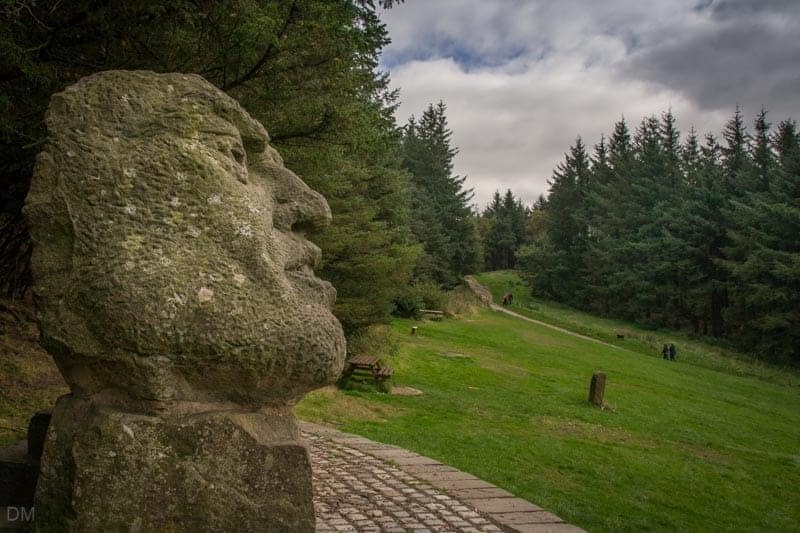 Easy walk around Beacon Fell Country Park.